Built as a kid's first ski, the Madshus Snow Pup is designed to play. It's wide and stable with a NoWax® base to make snowy exploration easy, and comes in a pint-sized 85cm length. The Madshus Snow Pup is packaged with a Universal binding, so you won't need special boots for your child's fast-growing feet. Strap the Madshus Snow Pups on your children's feet this winter, and watch them smile. 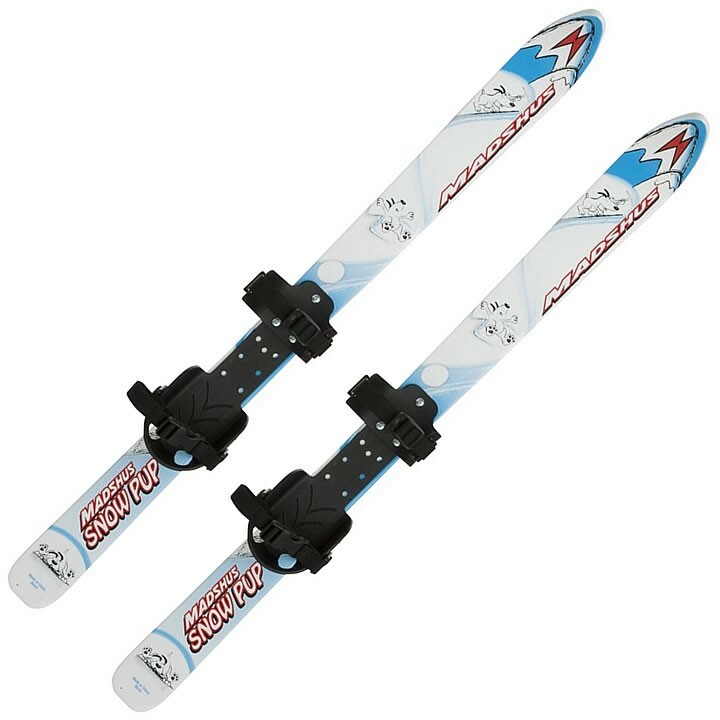 Just took out the ages 4 and 7 grandkids today for their first ski on these and they did great! I did not realize that the heel piece can be moved for a better fit so will be doing that tomorrow. Thanks for the help, Ski Rack. Very happy with this purchase.